Choose a string type below, and then you can select the string you want from the drop down menu on the page that opens. 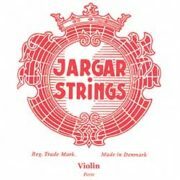 E - Forte, heavy "Jargar" Violin Strings. 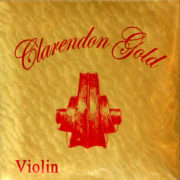 Famous Flexi-Metal strings from Denmark. Delivers a bright full sound with rapid response. Pirastro Universal #1 Violin E Ball and Loop. 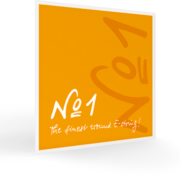 Violin No1 is a newly designed string that offers a full rounded off and sustainable tone in all positions, whilst at the same time maintaining full flexibility over the whole dynamic range of play. 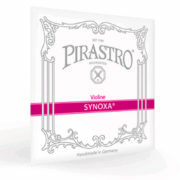 Pirastro "Synoxa" Synthetic Violin Strings. Synthetic strings for soloists and orchestra musicians. 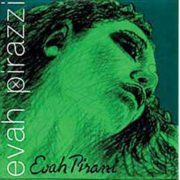 Pirastro "Evah Pirazzi" Synthetic Violin Strings. Intense, brilliant sound with wide dynamic range and soloistic performance. Solid warm tone. 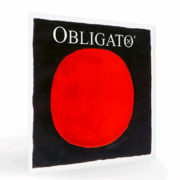 Optimal reaction for virtuoso playing and easy response in all dynamic sections. Immediately playable, enormous stability in tone and all strings are tuned for optimal set harmony.